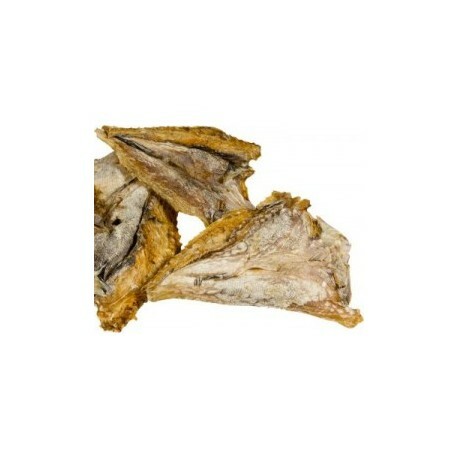 Ideal snack made 100% with 100% natural cod skin, dehydrated at low temperature to keep its properties intact. 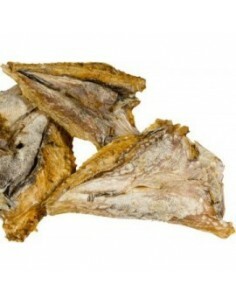 Source of omega 3, 6 and 9, protein of high biological value and low in fat. 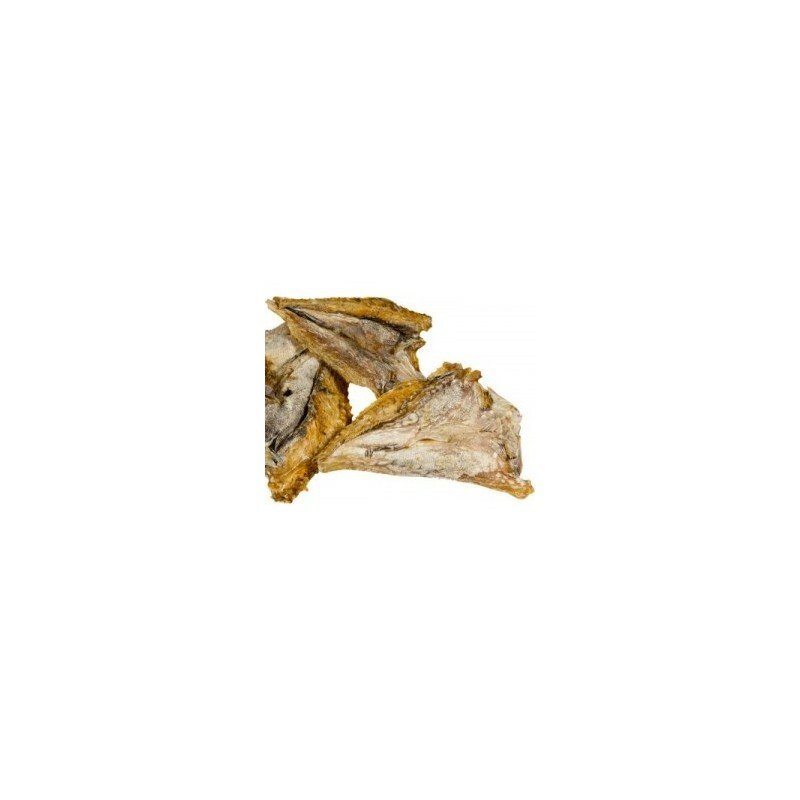 This dehydrated snack not only will please your dog, but also provides omega-3 fatty acids, with endless benefits for your skin, hair and heart, since omega 3 acts as an anti-inflammatory and is beneficial in allergic processes. Complements your dog's natural diet in a fun, healthy and natural way. Hypoallergenic. Without cereals or gluten. Ideal for dogs of all sizes. Size of the dogs: All. 100% dehydrated cod skin. A healthy alternative to any commercial prize.